Did you know you can make all your friends and family happy by creating handmade garden gifts? With just a little creative thought on your part you can make some perfect personal surprises. However, first of all, you should have several DIY garden ideas to refer to. Check these ideas out to make your garden more organized, beautiful and colorful! If you are considering DIY in the garden then there are things to consider. First, the condition of the yard and what you want to accomplish is what you need to look at first. You also have to understand your skill level and figure out if you have the skills and finances to accomplish what you want to do according to your own style. For some, they may want to only perform small tasks to bring the garden up to your expectation. Maybe you'll want no more than a flower bed here and there with maybe a garden swing or benches. But, if you are looking to do a major overhaul you may have to consult a professional. You can give a personal gift and recycle your empty cans at the same time! Save the planet and save some money as well. Simple Instructions: First you must place drainage holes in the bottom of each can, three should suffice. Then place a plastic pot inside the tin can. This is to keep contaminants from the metal away from the herbs. Then simply fill half way with the potting soil. Place the herb inside and add more potting soil. If you choose to give a non-edible plant then you may plant it directly into the tin can. To really make your plants special, decorate the pot with the name of the plant and even your favorite gardening tool. Paint the label with acrylic or craft paint in bright colors! Maybe add some hearts or decorative dots, whatever you like. If your plant is canned or potted, you can fasten the garden tool or even a recipe with the herb/ vegetable incorporated with hessian or ribbon. For this you will need to maybe place a lid over the pot. You can use the clay or plastic drain bottom of a planter or make your own disposable one. There are many different ways to irrigate a garden. The process of watering everything by hand gets old after a while and the plants won't get watered evenly at all. Getting the plants to be evenly irrigated will result in less loss and saves you money. You don't have to have an irrigation system into the ground. This is not very cost effective and it is unnecessary. You may use above ground systems which attached to the garden hose. You can buy systems that have timers. Look online and ask around to get one that suits your garden size and needs. We'll bet you didn't know you could use an old sink as a recycled decoration in the garden? Old sinks can be carried and fastened to a tree or placed on the floor in the garden. Fill it with water and let the rain water fill it up. This is a safe and fun place for birds to bathe happily. Place a bird feeder around the same area—just not above it for obvious reasons and enjoy a flock of a variety of birds. Or you can plant something in it, being it water lily or other greens or flowers. Why not recycle your old bits of concrete and make a raised flower bed. You can stack the pieces in whatever shape you like and plant inside the shape. Make sure you stack them a bit inward so that you have a stable wall and it won't cave in on your plants. 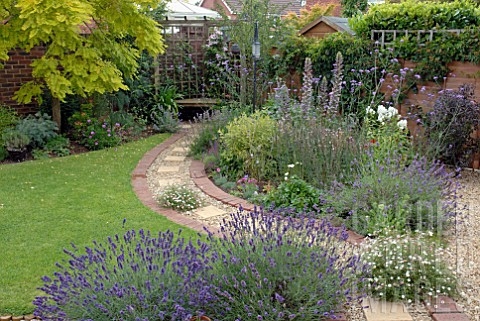 Conversely you can use those slabs to create a tasteful and rustic walkway or path. The uneven shapes are so natural and look great in a garden. Pallets are the best way to construct this. You simply stack them on their side and nail together to make 3 sides or the walls. Then, do the same with the last one pallet. Make sure they are even and there are no height variations. Take the last wall and make it a hinged door with a latch at the top in a high spot so that children and others can't enter it easily. 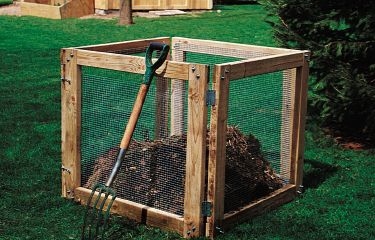 The reason why pallets are good for a compost bin is that it's a slatted design which is best for allowing air to flow in and around the bin. There is nothing like a nice BBQ area that is not too fancy. Two rustic chairs with some circular paving would be sweet. Place a matching circular fire pot with a brassier is something simple and special. If you want a low profile bench then place a space saving bench that is embedded in the concrete border of your garden with raised planters on the ends. You can do this with salvaged cuts of wood and wood that has imperfections that would not be used for anything else. Or you can even set a swing in the garden; it's both romantic and a great to have fun for the kids. The design for the sitting place totally depends on how you would like it to be. Just planting anything anywhere is not a good recipe for success. You can be creative and you can also be into a lot of different things for your garden but we strongly suggest you have a plan. It is a good idea if you think out whether you want a flower or vegetable garden as well as just plants. If you want a variety make sure you know how big each plot should be and how much room you need to plant and harvest as well as move around seedlings, plugs and things of that nature. For more information and ideas as well as a more visual guide you can go to this pinterest page.